The full moon of July will rise tonight, bringing us a lunar charm commonly known as the Full Buck Moon. A full moon occurs each month when the sun, Earth, and moon line up. At this time, the Earth-facing side of the moon is completely lit up by sunlight. 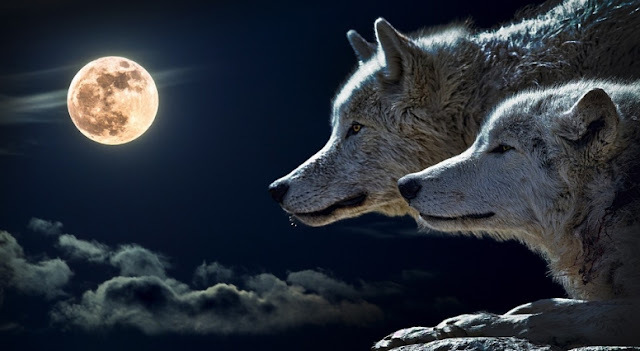 Full moons generally rise once a month — with the exception of a "Blue Moon," which appears twice in a month — and the variety of names given to these spectacular lunar events stems from ancient cultures, including Native American tribes living in the northeast U.S., according to The Farmer's Almanac. In Chinese culture, for example, the full moon of July is referred to as the Hungry Ghost Moon. July Moon names from different cultures Raptor Moon (Hopi). Smoky Moon (Maidu). Ripe Moon (San Juan). Crane Moon (Choctaw). Claiming Moon (Celtic). Rose Moon (Neo Pagan). Peaches Moon (Natchez). Ducks Moult Moon (Cree). Ripening Moon (Mohawk). Grass Cutter Moon (Abernaki). Buffalo Bellow Moon (Omaha). Hungry Ghost Moon (Chinese). Ripe Squash Moon (Algonquin). Raspberry Moon (Anishnaabe). Salmon River moon (Wishram). Mead Moon (Medieval English). Middle Summer Moon (Ponca). Middle Summer Moon (Dakota). Red Berries moon (Assiniboine). Young Corn Moon (Potawatomi). Buffalo Bellows Moon (Arapaho). Wild Red Cherries Moon (Sioux). Corn Popping moon (Winnebago). Ripening Moon (Passamaquoddy). Horse Moon, Ripe Moon (Apache). Summer Moon (Colonial American). Dropping Deer Horns Moon (Kiowa). Ripe Corn Moon, Hay Moon (Cherokee). Sun House Moon (Taos Native American). Claiming moon (Full Janic), Blessing Moon (Dark Janic). Little Harvest Moon, Blackberry Moon, Little Ripening Moon (Creek). Hay Moon, Buck Moon, Thunder Moon, Summer Moon (Algonquin). Responses to "Full Thunder Moon: What You Need to Know About July's Full Moon"